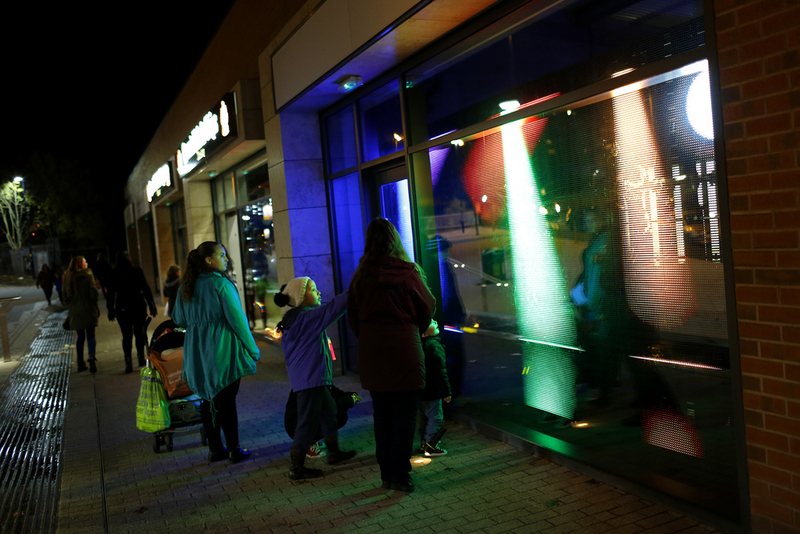 Joanne Masding was commissioned to create a new video for Longbridge Light Festival 2014 titled 'Symbol for a Light'. The artist's starting point was the angler fish, which uses a dangling, luminescent organ on its head to attract prey and mates. The work was exhibited in the window of an empty retail space in Longbridge town centre. Joanne makes video and sculpture that considers our relationship with objects. The artist is interested in the way we think about the worth, ownership and production of physical stuff, and how this translates in a world that is growing increasingly digital, immaterial and reproducible. In recent work Joanne has taken as a starting point an object – gleaned from various repositories from museums to YouTube – that demonstrates an aspect of this relationship, and which she presents within the work re-made and mediated through video and sculpture. Joanne's practice is a collection of exemplary artefacts that aim to think about what a contemporary object could be.